1- How did you first meet and how long have you been performing together? We met in London, when Baha agreed to teach me and help me with my studies on Ottoman repertoire, approximately a year ago. 2- How do you define Makam music? Makam is the term used to broadly describe the Arabic, Persian and Turkish modal, monophonic music systems. It consists of a series of modes, based on natural (non-tempered) intervals. Contrary to the idea of the western scale, each mode (makam) is characterised both by its intervals as well as the melodic behaviour. Although the three main Makam schools were based on similar principals, they have evolved independently, each using different theory, expressive intervals, notation and even instruments. We focus on the Turkish Makam, as it evolved during the Ottoman empire. Although modality characterised several forms of music making of the region, it was the Ottoman court which provided ideal conditions for the Makam to develop and reach its most complex, elaborate and delicate levels in compositions and improvisation (taxim). 3- How much did Makam spread outside the Ottoman court, in terms of the general populace or other nations in the Balkans etc.? Is it still performed for the ‘general population’ and in what sort of occasions? It is not easy to accurately define modality having court music as a starting point as, the Ottoman court was the place where the finest musicians from all parts of the Empire were brought together, creating over the years a wonderful meeting of sounds and ideas, which we enjoy as classical repertoire today. The Turkish makam theory is generally seen today as a method of training and preserving music, although modality in Turkey expands much further than the court repertoire, with some regions having very unique and individual styles even today. 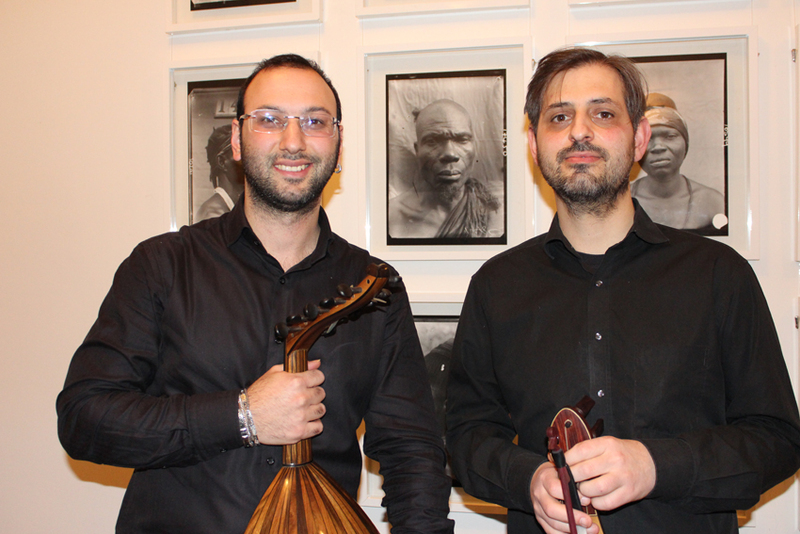 4- You perform with the oud and classic kemençe instruments. Were these special versions for makam and do other instruments are often used in performances? Both our instruments were (and still are!) used extensively in folk music. The kemençe particularly was only involved in court music from the second half of the 19th century. Its construction did perhaps evolve to reflect its use in "high-art" environment and even today, several instruments with beautiful decoration survive, often ornamented with exotic wood, ivory and tortoise shell. 5- Is singing ever accompanying makam and if so can the performer be of either gender and what sort of sentiments are expressed in the lyrics? It is perhaps fair to say that the Makam evolved having the human voice as a main reference, with the instruments accompanying it. Although instrumental forms have developed, court music includes both, instrumental and vocal compositions. Even instrumental compositions are generally restricted to the range of the human voice and the entire makam theory covers a similar range. 6- Is there still research going on old makam arrangements? There is research and academic work on the Makam. Technological advancements have allowed us easier access to historical recordings, there have been revival attempts of instruments not in use today and musicological work has given us information about performance practices of the past as well as more accurate editions of old compositions. 7- Prince Dimitri Kantemir was a composer, musicologist and collector of melodies of the Ottoman court and creator of a notation system clearly is an important person to preserve and categorise this music form. Are you still able to read this notation system or does it needs to be translated to modern notes? Can you perform these as they were played back then? Although Kantemir was not the first person to notate court music, his contribution is considered very important to the development of the Turkish Makam. Professor Owen Wright of SOAS edited and published the entire collection. Eugenia Popescu-Judet also did significant work on Kantemir. Although since Kantemirs time, performance practices and instrumental construction and techniques have changed, a lot of the basic characteristics of the Makam remain unaltered so, although each generation sees Kantemir with fresh eyes, we believe that the essence of the style is preserved in todays sound. 8- Of a later period, born 1870s Tamburi Cemil bey was a composer of the modern sound of makam. He was exposed to western instruments as well, and do you hear western influences in his compositions? He did record a lot of his works, and what format are they and how many have survived till today? The contribution of Cemil Bey expands further than his compositional work. His playing and compositions are luckily preserved in sound recordings. In addition to his work as a virtuoso performer and composer, he developed the construction of the yaily tambur, a type of bowed tambur still played today and he trained many of the musicians who would later become performing and recording artists themselves. Naturally, as musicians of his period were more exposed to western sounds, inevitably their music becomes drawn to that direction. Cemil Bey was not an exception and we frequently hear episodes of his compositions in 3/4 rhythmical structures, perhaps influenced by waltz-like western melodies. We also know he could play the piano, although we are not aware of any piano recordings of his. 9- The kemençe was a folk instrument before it became an instrument of the palace and makam. How did this come about and did the instrument change in form to adapt to the new environment? According to musician and researcher Christos Tsiamoulis, the transition of the kemençe into a court instrument is, to a certain degree attributed to Vasilaki (1845-1907) whose skill and musicianship allowed him to be involved in court music ensembles. Cemil Bey met Vasilaki in 1893 and was influenced by his playing. 10- Apparently the finest maker of classic kemençes was an Ottoman Armenian by the name of Baron Baronak. Do we know much about how he went about perfecting the sound? Baron and a few other makers like Buyuk Izmitli produced fine sounding instruments, many elaborately ornamented. It is perhaps fair to assume that, as the instrument itself transitioned into "high-art" repertoire, its construction also evolved to reflect that. Not many pre-Baron instruments survive today, making it difficult to have a clear picture of older style of making. There are some surviving examples of old similar instruments from Crete and the Aegean sea (Lyra) and they all vary in design. Some are very skilfully made and others more simply but what is certain is that there was a variety of styles with instruments varying in construction, number of strings and tuning. I am not able to say with certainty how Istanbul instruments were constructed before Baron and whether they were standardized in form and tuning. I believe they also varied. 11- Ihsan Özgen seems to be a great virtuoso and designer of kemençes in the late 20th century. What do you think is his lasting legacy? The legacy of Ihsan Özgen is undoubtedly present in the modern Kemençe sound. He belongs to the generation of musicians which presented classical repertoire internationally. In addition, he was a very dedicated teacher with several of his former students now being very accomplished players and also a very fine instrument maker, who pushed the kemençe sound into a new direction. 12- Alexandros, you recently had the opportunity to play the kemençe in ENBs’ new production of Akram Khan’s Giselle with the ENB Philharmonic, in London and on tour. Was this an ‘experimental’ ballet production as it seems strange to think of the sound of the kemençe in such as western art form? How was it received? My involvement with the new Giselle production was as member of the ENB philharmonic. Composer V. Lamagna was commissioned to compose a new score of the classic ballet for the ENB, with references of the original score by Adam. He was already familiar with the kemençe family characteristics and requested this addition to the orchestration. I experimented with different instruments and strings and worked with the conductor and sound engineer in order to produce the desired sound. Although this was not a traditional use of the instrument, I felt that, it was the unique colour of the kemençe that inspired the composer to use it. I felt privileged to introduce the instrument to the ballet world and I enjoyed sharing the sound with my colleagues in the orchestra. The kemençe is increasingly used outside its normal repertoire nowadays, and its sound can be heard in film scores, symphony orchestras and even jazz clubs! I hope that, bringing it respectfully into a ballet orchestra can perhaps inspire more composers to trust its unique sound in the future. Interview by Craig Encer, June 2018.